As mentioned in Upcoming earlier this week on RhettMedia, this month in UK cinema sees the release of Universal’s latest monster-budget action movie, Battleship. With spending in excess of 200 million dollars in securing the talents of a cast including Liam Neeson and music sensation Rihanna as well as no doubt funding a mass of CGI fuelled action scenes, little seems overly spectacular regarding the marketing of the movie with it merely being the action flick that kicks off blockbuster season and precariously set with a mountain of money to recoup. 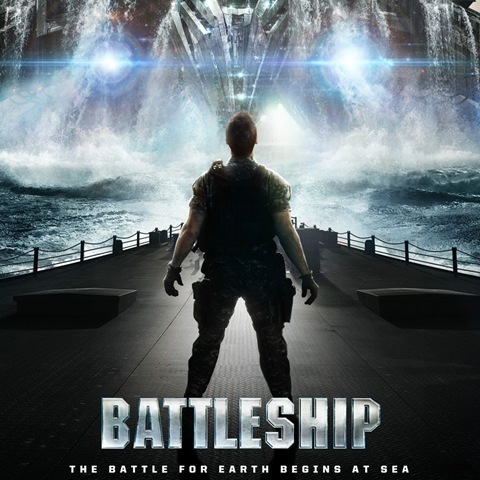 However, what is particularly troubling about the existence of Battleship is that it is a glaring example of the unoriginality that is centred at the core of one of the most creative professions imaginable, and is a significant marker as to the bizarre position Hollywood finds itself entrenched in 2012. The problem with Battleship lies inherently in its ludicrous marketing techniques, as a collaboration with Hasbro means that every press release that hypes the film tends to include the ridiculous statement that the movie is based on the popular board game by the aforementioned company. Now, this isn’t exactly an unprecedented move, as films are often tied in with popular video game franchises or even true stories from the news, yet what makes this such an obscenely transparent and ludicrous statement is that the game of Battleship has no discernible narrative outside of an attempt to locate and destroy your opponent’s naval crafts. This obviously reveals the excuse for showing numerous explosive CGI sequences in lieu of a relevant, thought-provoking plot, yet it is plainly absurd to attempt to tie in your mega-bucks blockbuster with a game with such a minor and tenuous link. With Battleship utilising this offensively transparent see-through attempt at name-dropping in its marketing campaign mixed with the apparently cobbled together plot centring round a peculiar and rehashed alien invasion narrative, it becomes apparent that Hollywood is in a curious phase of producing unoriginal and unchallenging pieces of cinema. This is no more clear than in analysing the deluge of remakes, reboots and sequels that adorn the major percentage of the screen, with the most talked about movies of the upcoming year no doubt being the new James Bond picture Skyfall, the latest Batman flick The Dark Knight Rises and December’s The Hobbit, all of which are based on characters and stories that we are essentially very familiar with. Furthermore, it seems that there is a rapid increase of the adaptation of literature onto the big screen, with the aforementioned The Hobbit being one example among countless others over the past year alone including Jane Eyre, The Descendants, Albert Nobbs and last month’s Bel Ami just at the forefront of memory. 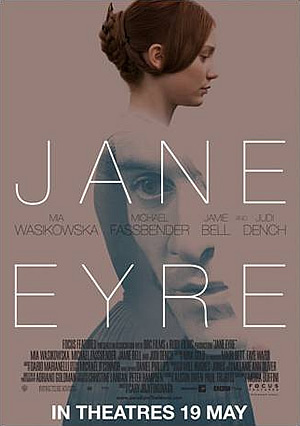 While this reliance on literature and exploitation of significant characters’ mighty name power doesn’t necessarily correlate to exclusively terrible films being made, with The Descendants and Jane Eyre surpassing this label, it speaks volumes about the comfortable position the decision makers of Hollywood are settled in. This phase of cinema is clearly based upon a culture of safety, where chances are not taken for fear of failure. It is obvious that producing a movie is a magnificent obstacle of effort and dedication, so Hollywood and the big producers answer has been to rest on their laurels, ignore original story-telling and rely upon recognisable characters and their familiar dramatic situations. I know that this process will invariably hedge the bets of the production company, as with so many millions of dollars on the line, it seems intelligent to channel the success of stories with evidential appeal to a mass audience and Hollywood undoubtedly building much of its success from such a venture. However it must birth a disturbing trend for screenwriters, as it is quickly proving more valuable to translate a narrative from a novel or comic or retelling another movie instead of the arduous task of creating an interesting and original story of their own and transmitting that into script. It should be stressed that even adapting a text or rebooting a franchise is still an incredible challenge for a writer, yet it surely undermines the writer’s own confidence and creative desires when their pay cheque is ultimately cashed by telling someone else’s story. In this regard, the adaptation factor of Hollywood is establishing a trend in cinema where truly original and meaningful films are being dumped in favour of flicks which can be tied in with product placement in the manner of Battleship. The ludicrous marketing of Battleship as being based upon a game with no ostensible narrative is indicative of the shameless and downright offensive philosophy that shadows over Hollywood and it will be interesting to see whether or not Universal will get away with this marketing technique as it far as translating just how much of the 200 million dollar investment the blockbuster can recoup as profit, and what it means for cinema if it fails to break even. ~ by jrhett on March 31, 2012.